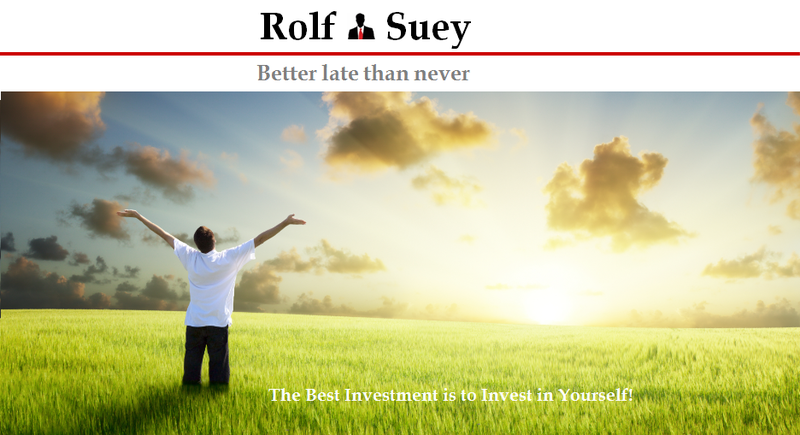 Rolf Suey - Better Late Than Never: Recent Actions - A Gamble with Swissco and The Belief in Keppel DC Reit? Recent Actions - A Gamble with Swissco and The Belief in Keppel DC Reit? STI falls below 2800 this week. The year started with the months of Jan and Feb seeing major indices in the world tumbling. The story almost reversed in Mar when the markets rally coming back with a vengeance. Could it be the same story of up and down for the rest of the year? Or could a major good or bad news result in a more permanent up or downtrend? It is anybody’s guess for now. Short term trading. Speculation. Perhaps the belief that Swissco shares had overdone its selling. The thrill of taking some calculative risk! The market in the short term does not care about fundamentals! Anyway, I had followed Swissco stock for 6 years now, buying and selling its shares several times. As for knowing the company in work, it has been more than a decade. Not so relevant for short term trading, but just for readers’ information for more about Swissco as follows. Do remember that I consider myself an oil and gas blogger who is passionate about the industry despite the oil price is almost crushing it up! Over the years Swissco business has totally transformed from a small tug boats and barges operators to a OSV and rig operators. The owners of the company also changed hands several times. As of today, Swissco is backed by Tan Kim Seng and family who were already in business since 1974. Tan is an oil and gas tycoon where he profited from the sale of KS Energy which he founded, to Indonesian tycoon Kris Wiluan. You can read more about Tan Kim Seng here. He is currently the co-founder of Tembusu partners and via Kim Seng Holdings “KSH”, he also has stakes in Heeton Holdings and is director/shareholder of Viva industrial Trust. The one running Swissco is his brother Tan Fu Gih. Of late, for its FY15 results, Swissco announced a profit of US$31.2 mil. FY14 profit was US$15.9 mil. So why the sharp decline in share price when profit almost doubled within a year? This is due to the latest 4Q15 results, where Swissco announced impairments of US$17 mil on vessels and rigs which resulted in a net loss of US$15 mil based on revenue of US$21.7 mil. Many of the rigs owned by Swissco or co-owned (JV bet. Swissco-Ezion) are either already off-hire or expected to be off-hire in year 2017. The story is not so different in the OSV segment. Hence the battered share price! Another downside is the net gearing of Swissco is currently at a high of close to 80%. Note that Swissco on Sep 2014, issued S$100 mil notes at 5.70% due in Apr 2018. This means that cash flow is going to be very tight going forward and if the oil situation does not recover in the next two years, the company will likely see troubles ahead. On the flip side, recently CIMB has recently issue a report that even if 6 of the 9 rigs Swissco operates were to be scrapped and impaired at US$170 mil, the current price is also over-bearish. Refer here. Disclaimer: I am not a believer of Analyst report! That said, there are some valuable info/facts and figures that we can use for reference. The main difference of Swissco compared to Keppel O&M and Sembcorp Marine is that the former is shipowner while the latter two are shipbuilder in its core. Shipowner being higher in the value chain is more elastic to oil price compared to shipbuilders which may otherwise still have many unfinished/untaken ships in its yards even when the oil price rises. Most of the Swissco rigs that are off-hire are for PEMEX. PEMEX recently had a new CEO, but I do not believe he is a magician and can orchestrate a quick turnaround. On the other hand, there still exists demand of shallow water offshore vessels in Middle East, India and potentially Iran. Swissco’s hope is to penetrate these markets. Swissco also owned a young fleet and these vessels are normally built at a conservative pricing. The rigs owned are also second-hand making them much cheaper than the newbuilt ones. Although the rigs are second-hand, but they are well upgraded and well maintained operated by reputable and experienced operators of Ensco and GSP. Not all rigs are for drilling also and some are for offshore accommodation purposes. Overall, the aforementioned reasons do put them in a better chance comparatively in getting contracts in this very tough market with low pricing. I am not saying they “will” get contracts, and please do not quote me! Swissco also co-owned several rigs with Ezion. This week, Swissco also announced an MOU to acquired India based VM Marine, a ship owner and management company. Nothing is definitive and firm yet and no mentioned how the acquisition is funded, but seems like something is brewing? Could it be good news of penetration into India market or other reasons…with further burden of rights issues or further issuance of shares? We shall see! At price of S$0.182, PB is 0.35x. Ok, price has risen to 0.185 as of last trading day. I also added Keppel DC Reit with the belief that the future world will be more extensively data-connected and requires more Data centres. This one is more “long term”! The shares added are going into my SRS. This purchase is funded when I offload my stakes in Starhub and M1 and betting more on Data over Telco at least over the next few years. Or some sort of rebalancing, if you like to call. At current price of 1.05, Keppel DC Reit has a PB of 1.14, seeing a yield of 6.5% with an aggregate leverage of 29.2% as of end 2015. Recent Actions - Sold Telco! Short Term Bearish, LongTerm Still Bullish! I see news of tech companies setting up their own DCs. Does that worry you? There will always be competition in business. I do not believe that you can identify a trend and then say this company sure successful bcos it is in this industry. Management, track records, financial figures, understanding of the business, focus in the core.. etc all matters. Google, Alibaba, local telco, investment funds coming into the market fiercely etc. Kep DC not just in Sg already now in AU, NL MY, Ger, hence market size is sizeable. Need high level of experty n reputation for reliability which Keppel so far exhibits. Prudent move to switch from Telcos to Data centres. I also foresee a future where people are gorging more and more data. Singapore seems to be the premium choice for data centres in this region due to our political stability, lack of natural disasters and a supply of skilled workforce. Yes. The lack of natural disaster is a good one! We must not forget that technology is like tide while can raise all boats can also sink them. IMHO, my preference is Ezion over Swissco. but both coy are somewhat related. anyhow, thats just me .. i think swissco might be subjected to potential acquisition. if such scenario happens, then it will be bonus for you. Thanks for ur humble opinion. Tan Kim Seng use to the the boss of Ezion boss Chew when the latter was working for the former in KS Energy. KS holdings owned substantial Ezion. Ezion had more assets on liftboats and also owned Ausgroup which are the main crucial differences to Swissco. I also wrote several articles about Ezion/Liftboats in my blog. Oh.... Swissco subjected to acquisition? That sounds interesting. i really like dc too. however I would like to accumulate at lower prices than this. let's hope the price do drop for us to accumulate more! Swissco price has been dropping like stone in past few months. Is it wise to average down now ? Hi, frankly it's not wise for me to advise u because I do not know ur position n how much SWISSCO u owned as a percentage of ur portfolio. I know mine well n hence I can better know what I m gg to do next for myself. It was a gamble I took in Apr this year. And the gamble seems to be a wrong one judging from today's share price! So when it is gambling, it's all 50-50 and luck plays more part than the rest. I stop gambling recently, but does not mean I will stop entirely in future. As long as we know if it's going to be a big or small gamble and even if I lose... "i m prepared to lose all since I already mentioned it's a gamble!"